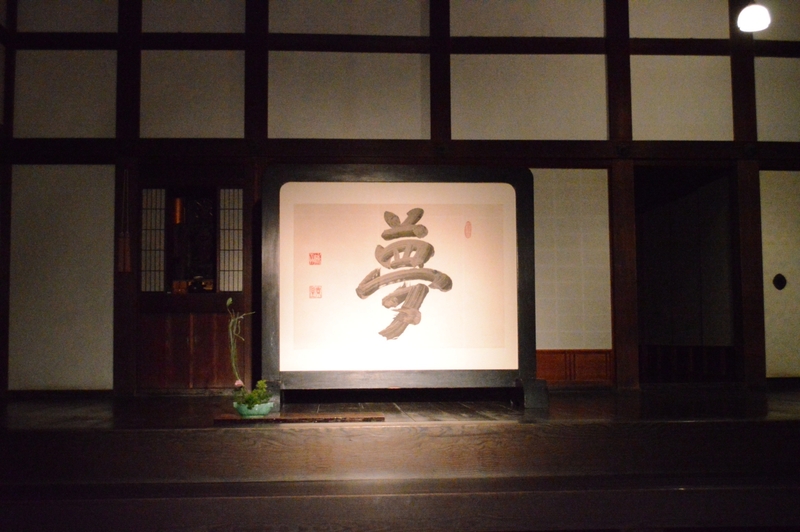 Kōdai-ji, formally identified as Jubuzan Kōdai-ji, is a temple of the Rinzai school of Zen Buddhism in Higashiyama-ku, at the foot of Higashiyama Ryozen Mountains in Kyoto, Japan — the largest subtemple of the Kennin-ji branch. 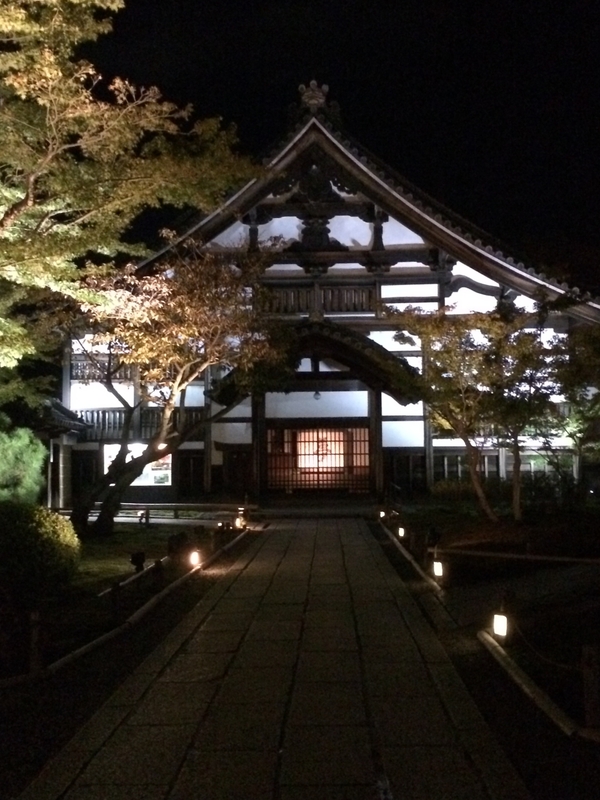 It was established in 1606 in memory of Toyotomi Hideyoshi, one of Japan’s greatest historical figures, by Hideyoshi’s wife Nene who is also enshrined at the temple. 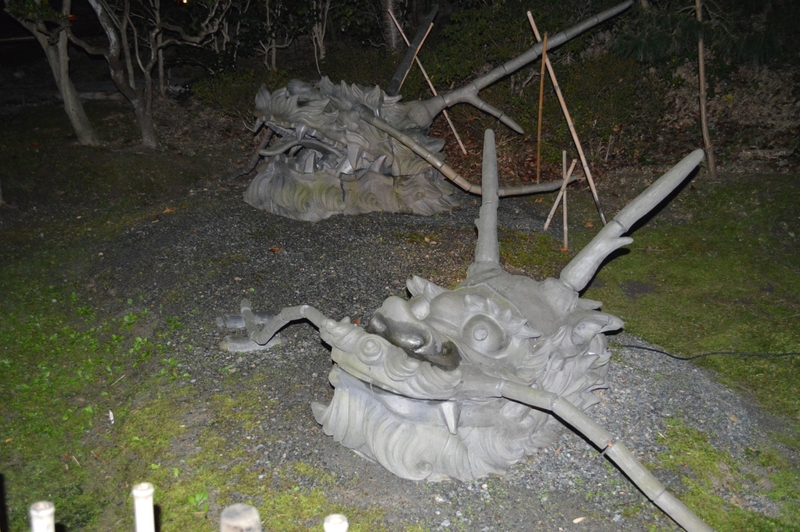 Much of the Kodaiji complex was destroyed in 1789 by fire. 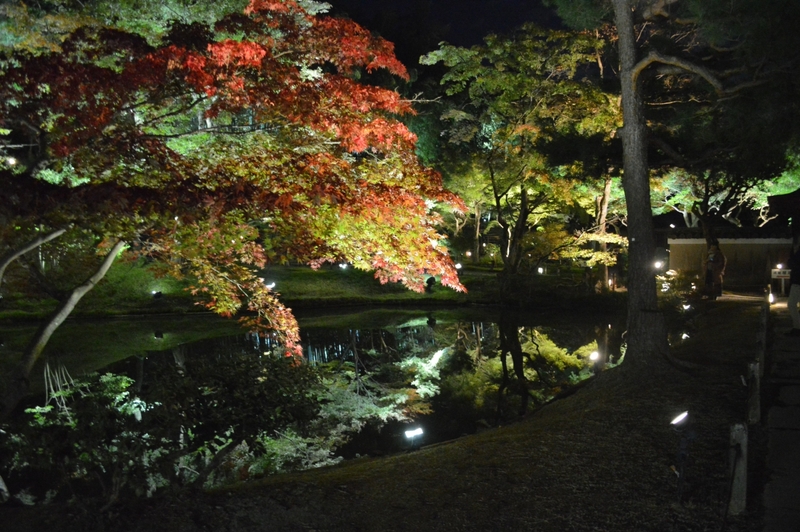 The gardens are lit up during special illumination shows in spring and autumn. The view of other nearby Kyoto temples and down into the city center is stunning to say the least with a nice view of Kyoto Tower as well. 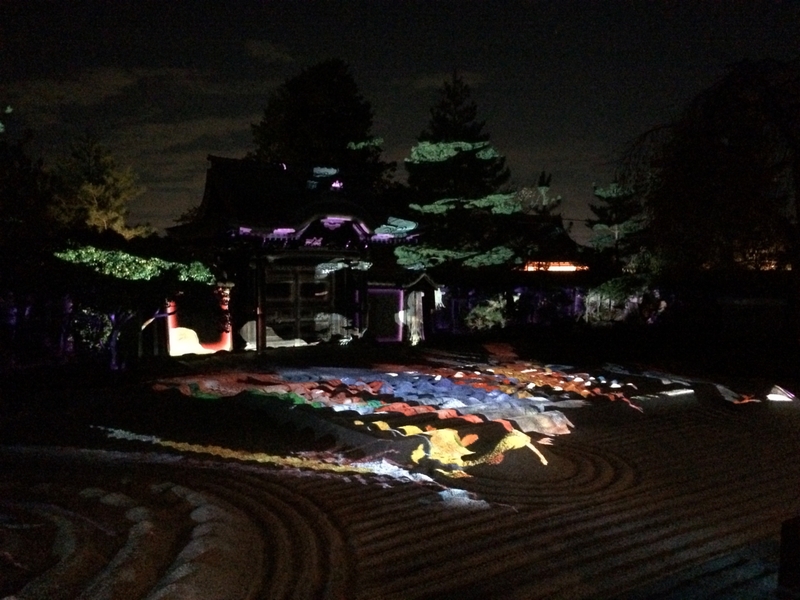 One of the Zen gardens is a rock garden consisting of a large field of raked gravel meant to represent the vast ocean and during spring and autumn you can see a mesmerising lightscape show. The other Zen garden is an impressive tsukiyama style garden featuring an amazing reflection pond, man made hills, decorative rocks and beautiful pine and maple trees, the latter of which turn brilliant shades of red and orange during the autumn color season. Kangetsu-dai is a roofed bridge that was brought from Fushimi Castle and was used as a moon-viewing platform by Hideyoshi. The bridge crosses a stream and Engetsu Pond and connects to the Kaison-do and Tamaya. 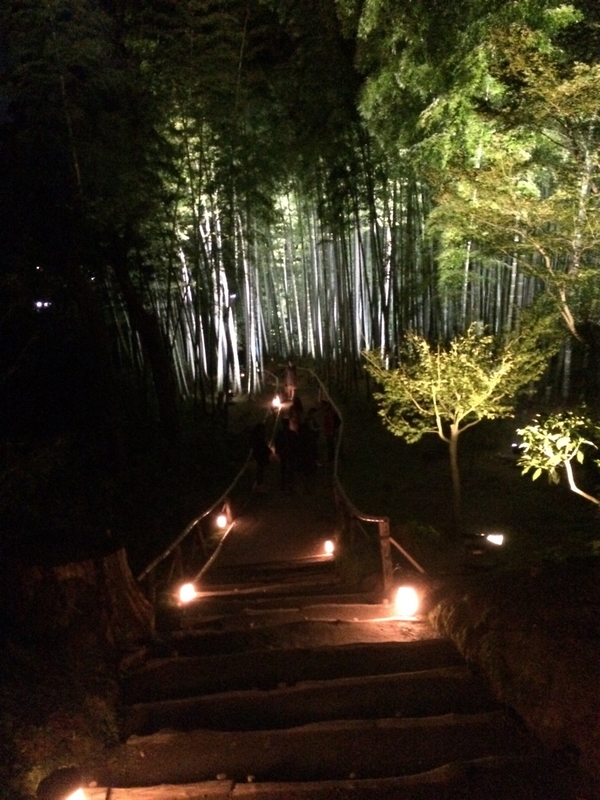 The return path to the temple buildings passes through a bamboo grove that is lit up during the night and is a very impressive walk back. This is one amazing place to visit.